You may be thinking I am a little late, but I’m not. My reveal date got pushed back a bit, which was entirely fine as I’m always accepting of more time. So… today is the day! Yay! If you don’t remember what I was working with, see this post. 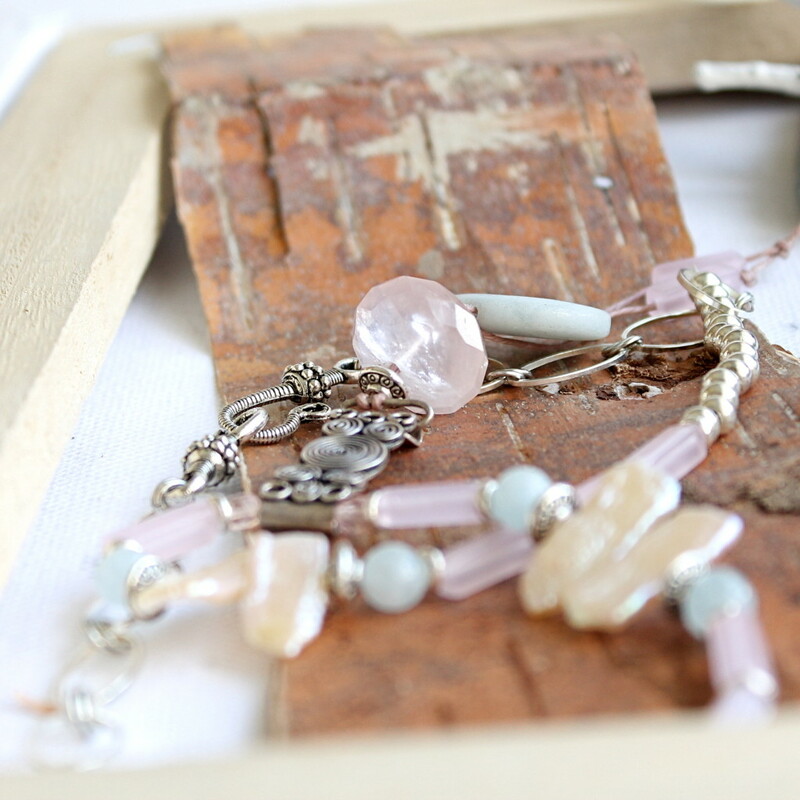 I decided to use the Amazonite focal, Aquamarine rounds, Rose Quartz tubes, silver spacers and of course, the gorgeous clasp that was in my soup. I added another Rose Quartz focal, some peachy Pink Biwa Pearls, chain, Pink waxed linen thread and Sterling Silver (used to be clasp) bail, from my own stash. I have always loved pale blue, pink and grey/silver together. It is such a calming and soothing colour combination. I was also really excited to use up that Silver spiral piece. It was half of a clasp, I don’t know what happened to the other half. HA! So, I just riveted it together and made a bail! I really like it. I had a lot of fun working with this soup! I have to thank Andra again for sending me such lovely things to work with and of course, Mrs. Lori Anderson for putting this whole thing together. It is a huge undertaking organising this many people, I’m sure. She is amazing! Now, be sure to stop by Lori’s blog for the full list of participants and show your support for all of the amazingly talented crafty folk taking part! Thanks to you as well for stopping by to check out my reveal! That is absolutely stunning, Rach! Wow, rachel! I’m inlove with your necklace, it’s so gorgeaus!! I couldn’t expect less, your work is simply amazing, stunning, fabulous!! You are very creative and I love the free spirit you put in them!! This necklace is a perfect combination of materials, shapes and colors! I also find pale blue an rose a perfect match with silver tones!! Lovely, the Biwa pearls are the perfect detail of this necklace!! It looks so airy, dreamy, free!! Congratulations! I hope you will find a perfect place for the other beads as well!In the future I will be following you and your work, I love everything you make, your style is !!! Love it…completely, simple elegance! Fabulous Job & such a yummy soup! Andra! Thank you. :) I am so glad you like it! I will definitely be using the other beads! I did hope to make more than one piece, it just didn’t work out. I am so happy to have met you through this! :) And again, I LOVE, LOVE, LOVE the necklace you made! I can’t stop thinking about it. lol It’s so amazing. So elegant, light, and pretty! Gorgeous! Very pretty with such soft feminine colors. Love it, makes me think of summer at the beach. Very nice, clean, and fresh. Nice photos too. Beautiful necklace….I love the colours and design. You are very talented and have a great style. One of the best of BSBP7! 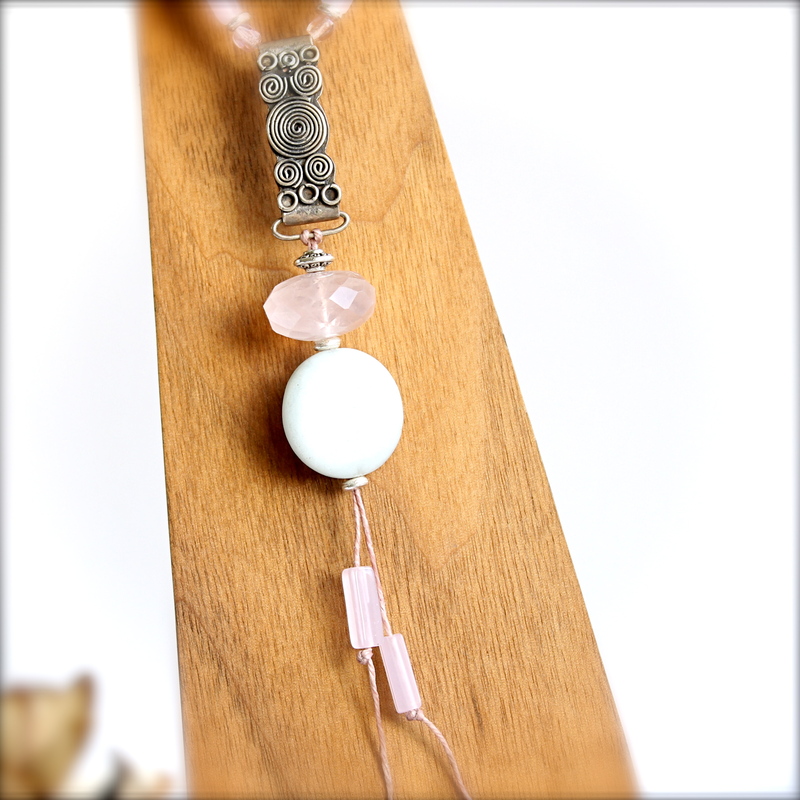 beautiful necklace, I love the soft color palette and the design. very delicate and feminine, just perfect. 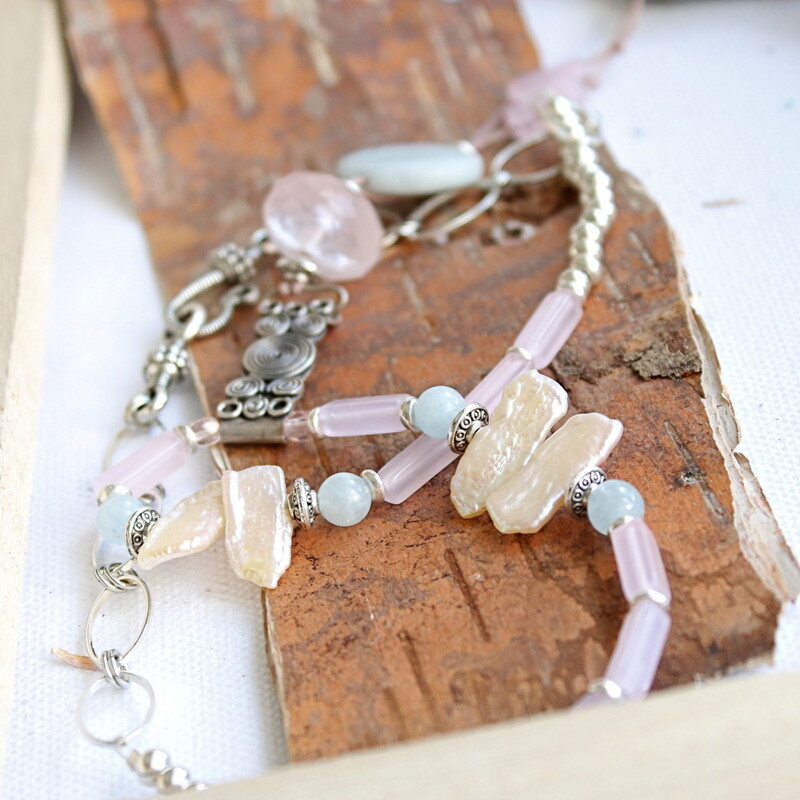 Beautiful and elegant necklace in pastel tones. So right for Spring. very elegant and delicate projects!congrats! Very creative and attractive design! Fabulous job with your soup! Unique use of the clasp. Love the necklace – so feminine. Love the necklace – so feminine. Unique use of the clasp. Your necklace works perfectly. Such subtle beauty. Love this very feminine necklace. Very nice design. The colors are Spring. A very feminine, pretty necklace. Perfect for Spring! Lovely necklace, Rachel! I love the pastel colours – just perfect for spring! I simply adore this necklace! Fantastic! Beautiful summer necklace…elegant and soft. Very pretty! You did a nice job with your soup! Rachel your necklace is so feminine and pretty. I like the colors you chose to use from your soup. Using that part of the clasp as a bail was the perfect accent. P.S. If my second son had been a girl he would have been Rachel. Your necklace is lovely and so feminine! !